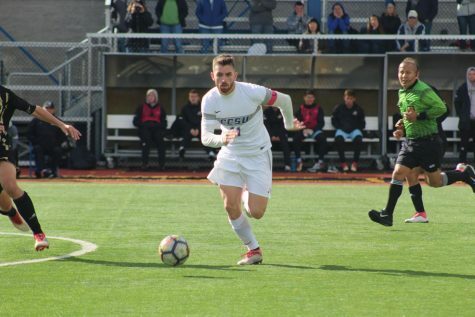 The Central Connecticut men’s soccer team ended its season with a 1-0 loss to the Bryant Bulldogs this past Saturday. The loss leaves the Blue Devils with a 1-13-1 record to end the first year of the programs rebuild. 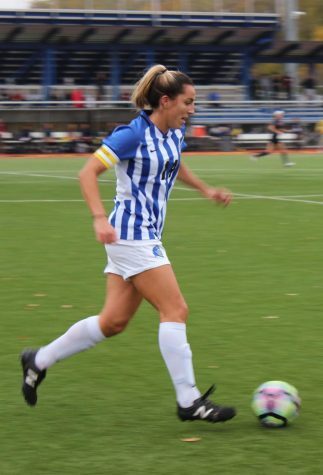 The game began with Central being unable to connect on a scoring opportunity created by freshman midfielder, Larson Richards in the 16th minute. Just 10 minutes later, Bryant was granted a penalty kick after a foul by in the goalie box. The foul led to senior goalie Carson D’Ambrosio getting a red card, prematurely ending his collegiate career. The card was given as a result of D’Ambrosio’s words to the official after the initial foul call. “I thought I had to say something… and obviously [the official] took it very personally,” D’Ambrosio said about being sent off early in his final game. D’Ambrosio was replaced by redshirt freshman, Nate Howard, who had to face a penalty kick as soon as he stepped on the pitch. Howard was beaten by Bulldog midfielder Felipe Cypriano, leading to a 1-0 Bryant lead. The red card left CCSU a man down for the remainder of the game, but they did not allow that to stop them from keeping a close match. 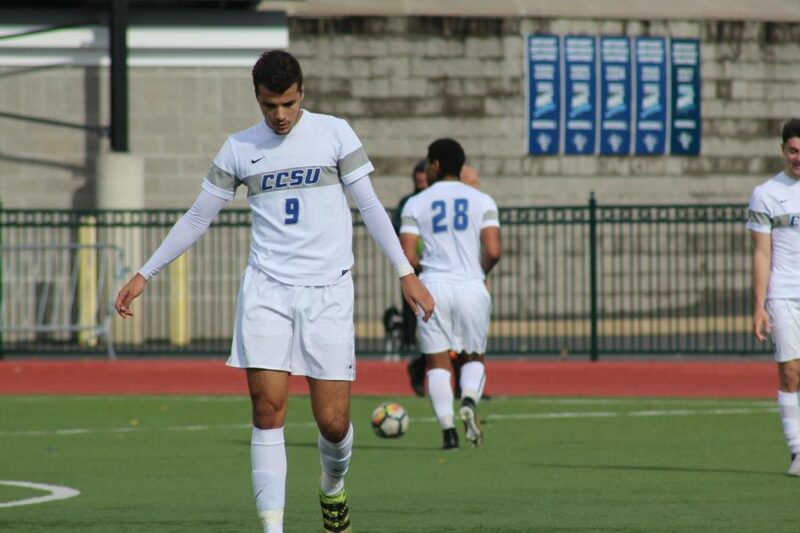 CCSU was given another scoring opportunity in the 71st minute, as senior forward, Louis Beddouri was awarded a penalty kick after drawing a foul in the penalty area. Oliver Larente made a diving save to keep the Bulldog’s 1-0 lead alive. It was not only teammates who were showing their support for all of the seniors Saturday. Head Coach, Shaun Green decided not only to begin the game with all seven seniors on the pitch but end the game with the six seniors left all in positions in the front of the offense to open opportunities for them to score. 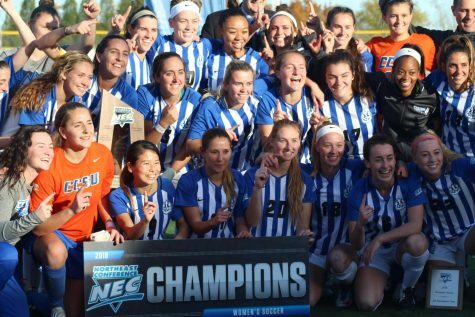 After a tough season, the program is looking to move forward with their rebuild, centered around players from Connecticut. 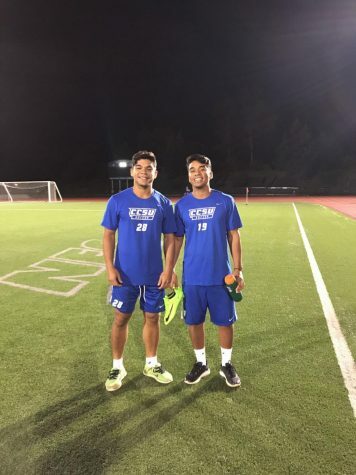 “I’m very pleased with the quality of the Connecticut players who came in. We had a lot of Connecticut freshman get playing time this year,” Green said of the young, local players, who will be a part of the future of the program.